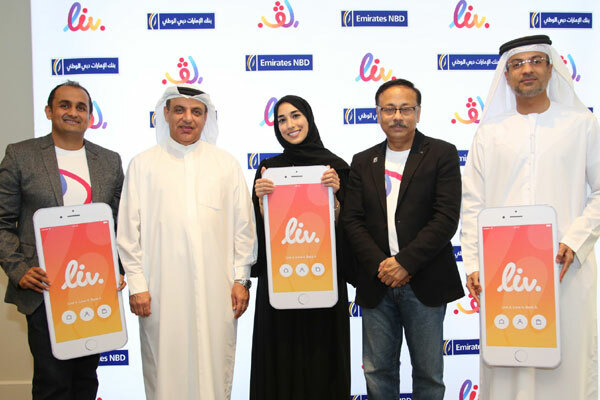 Emirates NBD, a leading bank in the region, today launched Liv., the UAE’s first digital bank targeted at millennials. Liv. is aimed at providing a differentiated digital experience for a new generation of customers, empowering them in their daily lives, learning and adapting to their individual preferences, and providing a banking platform that is intuitive and simple to use, the bank said. The new digital banking proposition, revealed at a press conference today, is also part of Emirates NBD’s planned investment of Dh500 million ($136.13 million) towards digital innovation and multichannel transformation over the next three years. “With this new launch, the bank further builds on its role as a leader in providing smart banking services in the UAE,” said Suvo Sarkar, senior executive vice president and group head – retail banking and wealth management, Emirates NBD. “Liv. offers customers a unique experience that will allow them to access the finest lifestyle opportunities while enabling them to better manage their finances. Liv. aspires to be more than a bank for the millennial customer - one that will inform, advise and be their digital buddy and wingman,” he said. The Liv. mobile app will allow customers to open their bank account instantly from their smartphones through simply scanning in their Emirates ID card. They can then deposit funds into their accounts immediately using any bank debit card they hold. Following this, customers can carry out routine transactions like local fund transfers and paying bills, free of any fees. Customers then become eligible to receive a Liv. debit card delivered to them, enabling ATM cash withdrawals and purchases at any outlet or online. The new proposition is designed to be ‘mobile and social first’ with a strong emphasis on providing a fresh customer experience. Customers can access the Today feature in the app that displays a curated daily feed of what’s happening new in town; selected deals on their individual preferred food options based on the time of day; and fitness trackers to manage their health regimen. The You section, expected to come on in the coming months, will provide them with a snapshot of their lifestyle activity, favored experiences -you only live once - whether they are concerts attended or adventures enjoyed, along with peer benchmarks. The Money feature will use real time analytics to provide customers with insights on their transactional history and spending patterns, as well as help track financial goals they have set up, helping to budget and manage their finances efficiently. Fund transfer instructions can be made easily through social media channels such as Facebook, Whatsapp and others, all carried out in a secure and trustworthy environment powered by Emirates NBD’s technology infrastructure.